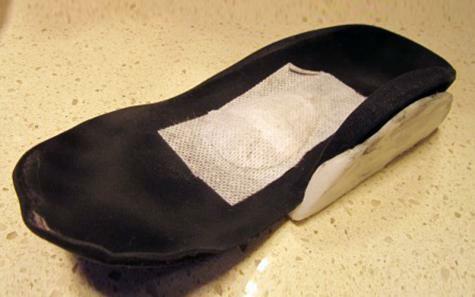 Kate used Plastimake to create custom supports for her orthotics. Her podiatrist was so impressed that now she's also started making orthotic supports out of Plastimake! My podiatrist was very excited when she saw the Plastimake support I'd made for my orthotics. It was thin but handled bodyweight without cracking or melting. It gives enough to cope with movement but supports the orthotic from collapsing. 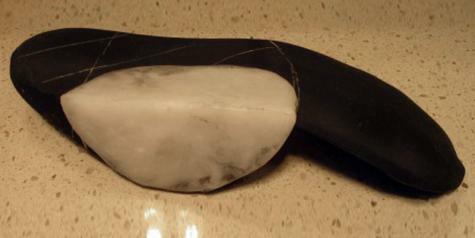 This is her very improved version, moulded and then sanded into final shape. She lectures in podiatry, so I imagine you will have a generation of podiatrists beginning to order your product. Thanks so much for sharing your innovation Kate.